Good morning you beautiful not-so-patient bunch! 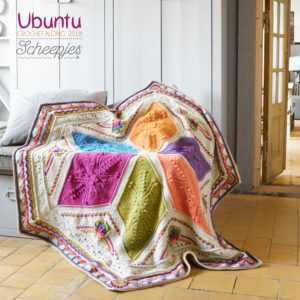 I thought that I would feel a huge sense of relief when I wrote my last post, finally outing myself as the designer for the next official Scheepjes CAL. Instead, I have been bouncing up and down since Friday, too excited about showing you what it looks like to sit still for more than a minute at a time. And now I can finally show you (!!!!) AND tell you all about the Ubuntu CAL 2018. This is Ubuntu! This is my new baby and my absolute pride and joy. Ubuntu (n): the belief that we are defined by our compassion and kindness towards others. 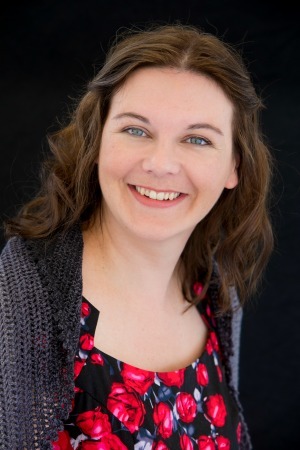 If you would like to know more about why we chose this name and theme, please see my previous post HERE. You can also find links to all the parts HERE (as they become available). What IS the Ubuntu CAL? 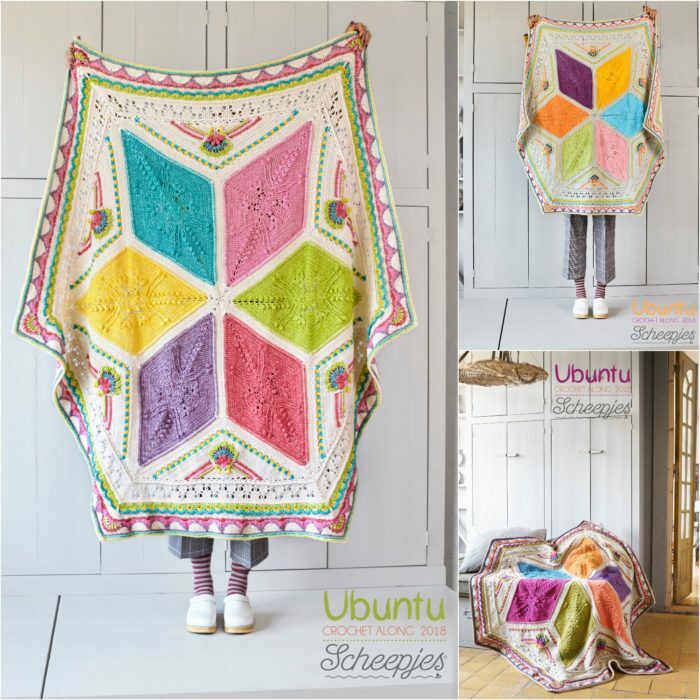 I have designed a hexagonal blanket that celebrates unity and humanity towards others. The design is detailed, but not overwhelming. For the overall feel, I took inspiration from traditional painted African huts (Google Image Search HERE). 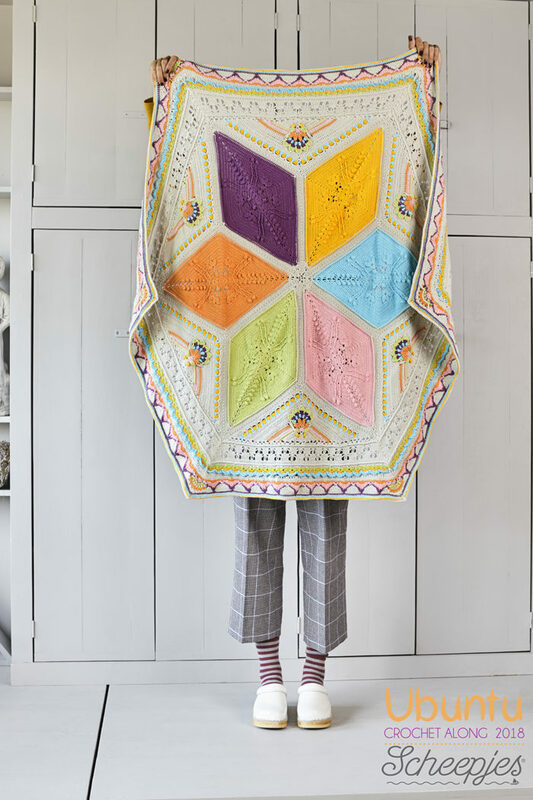 The inspiration for the shape, however, came from the carpet at the last Blogtacular I attended in 2017. 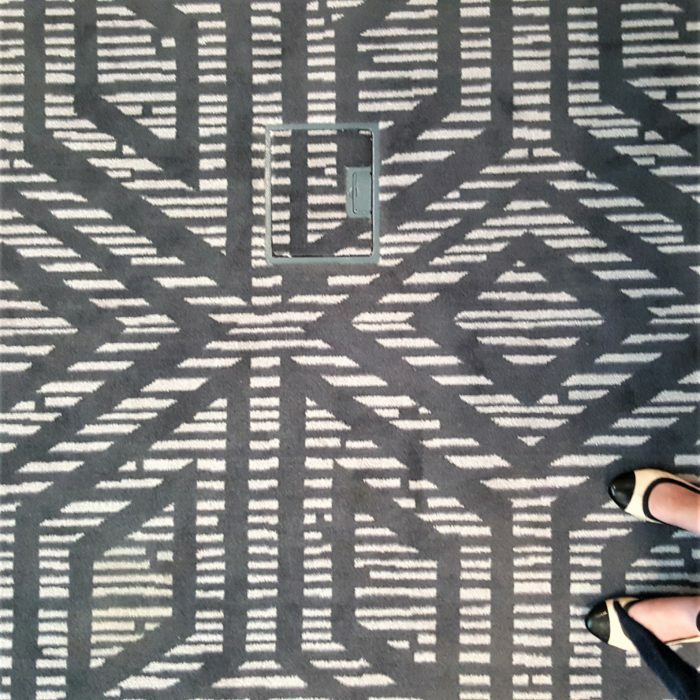 Up until that point, I was still very unsure of which direction my design would take, but when I looked down at the carpet, surrounded by dear friends and flying high on all the talk of supporting each other and lifting each other up, I had a little ‘Eureka’ moment. Due to the shape of the finished blanket, we have provided three measurements: Sides, Short Diagonal, and Long Diagonal. Below, you will find the measurements for all three ‘sizes’. You can also add the pattern to your Ravelry Queue HERE. Video tutorials will be available from It’s All in a Nutshell (UK terms and Dutch). Although I have not done step-by-step photo tutorials for this CAL, I will be following along with you, sharing a photo of each complete round and tips and tricks for tricky parts. My testers all managed to create the blanket with only a couple of photos, so with Esther’s excellent video support, I am confident that you will thrive. Please see Suggestions below. Official PDFs will be available in UK terms, US terms, Dutch, Czech, German, French, Finnish, Hebrew, Swedish, Spanish, and Portuguese. There are 3 kits: Small, Medium, and Large. 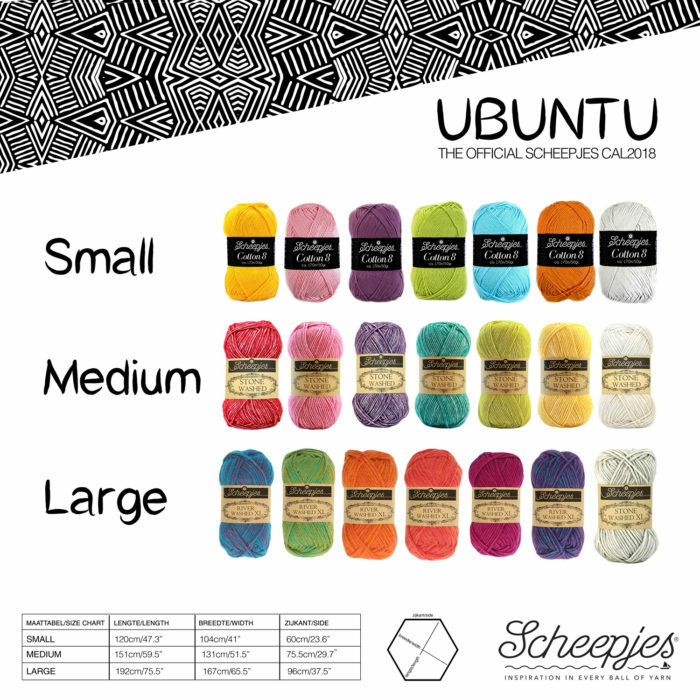 Kits will be available from most Scheepjes retailers on the 22nd of August 2018. All three kits contain an official CAL label, a button, and vintage stitch markers (I love the stitch markers). The Medium and Large kits (only) also contain a goody pack – see Goody Pack below. 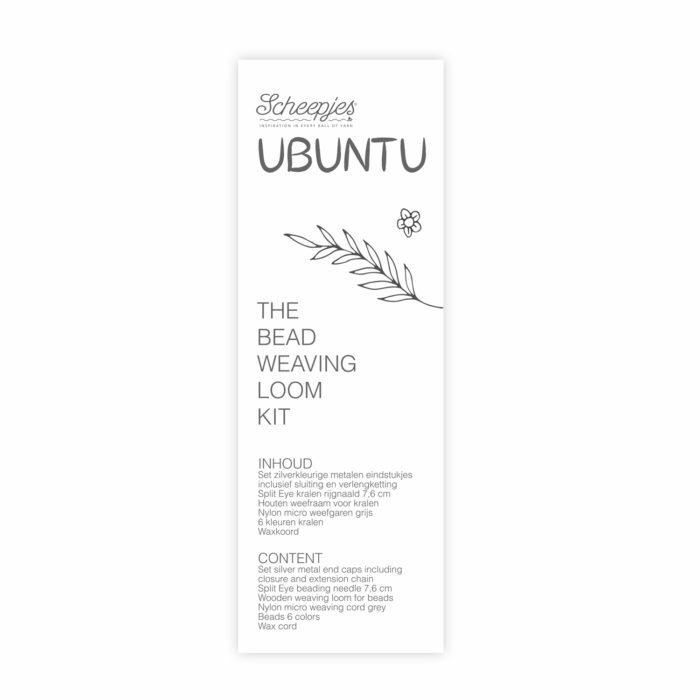 The Medium and Large kits come with a goody pack that contains everything you need to make your own beaded friendship bracelet (inspired by the CAL design). Instructions for making the bracelet will be provided, don’t worry! 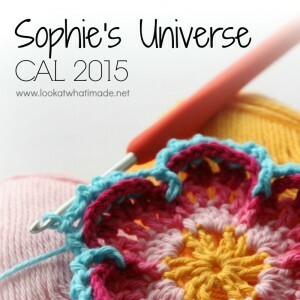 If you have never followed one of my patterns and would like to familiarise yourself with my written style or the techniques you will use in this CAL, I highly recommend having a look at my Special Stitches and Techniques post (especially the bit about gauge), written specifically for this CAL. Please use #ScheepjesUbuntuCAL when you share on social media so that we can follow your progress and marvel at your work. I cannot wait to start this journey with you! Thank you Dedri for this stunning pattern. I’ve crocheted for 40 years and never have done anything quite this elaborate. I completed my Ubuntu this week and could not be happier with the result. It’s such a masterpiece I am tempted to frame and hang it instead of letting anyone use it LOL. You are a design genius for putting these stitches together in such an amazing way. Hello, I would like to know if you could recommend and yarn brand and type that would be good for making this as a rug. 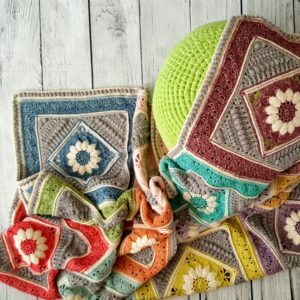 Thank you for the pattern and any help you could provide. Hi Terri. 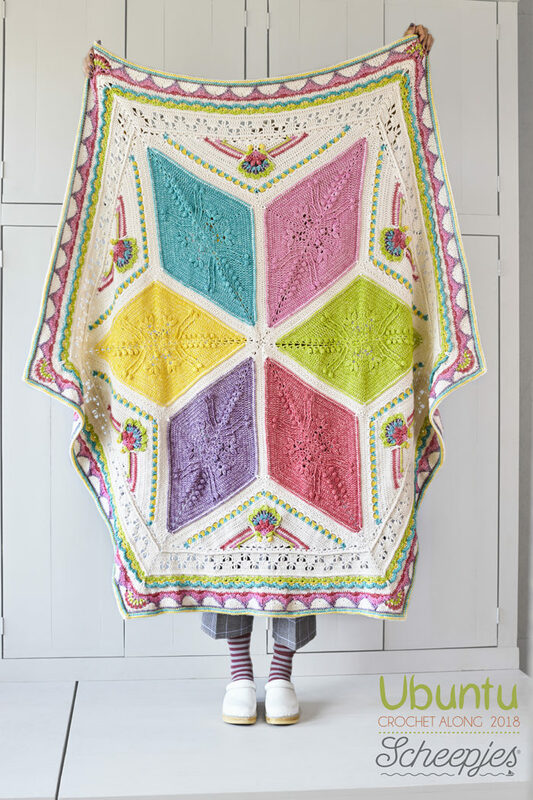 The large blanket would actually male a lovely rug if you can bear to stand on it! Hi Dedri! I’m trying to get started but stuck on round 2 of the first part. Is there a chart of the pattern available? 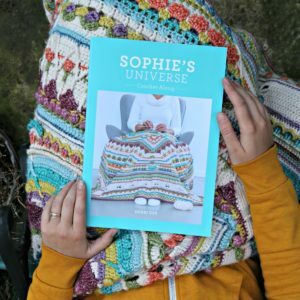 Somewhere I keep making the same mistake and it does not shape up.Thank you for such a beautiful project and I’m trying to get some done before my teenage daughter finds my project and takes over like she did with “Sophie”. Hi Donna. 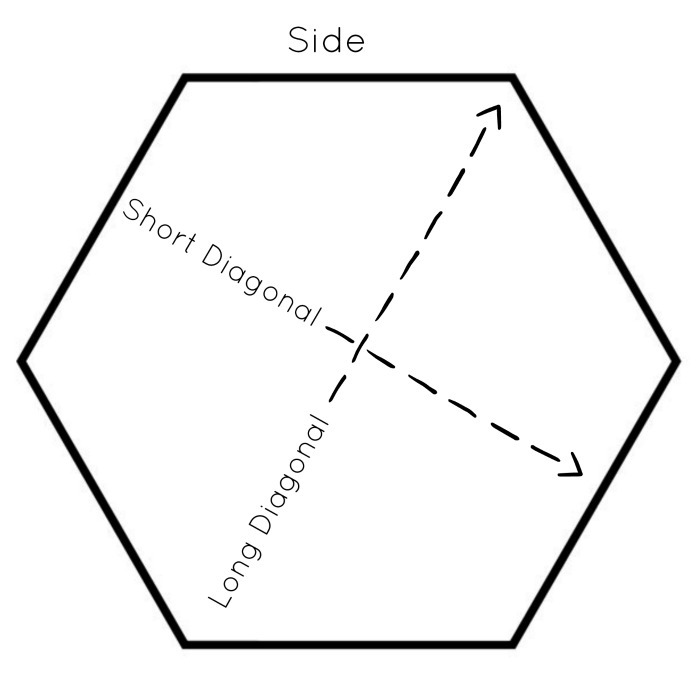 Due to the 3-dimensional shaping of some of the aspects, there are no charts for this pattern. Have you had a look at the videos? 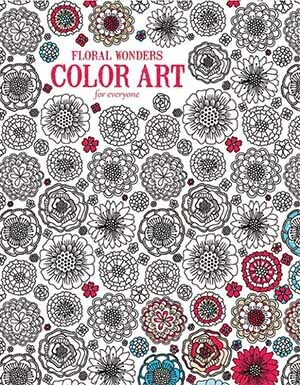 They are incredibly detailed and take you through every step of making this pattern. I purchased the large kit for this beautiful blanket and it is coming along nicely. This is my second creation from your wonderful patterns and all the great help from Ester with the step by step video tutorials. I’m glad you are enjoying the fruits of your labour :) Have you shared photos anywhere? I would love to see! 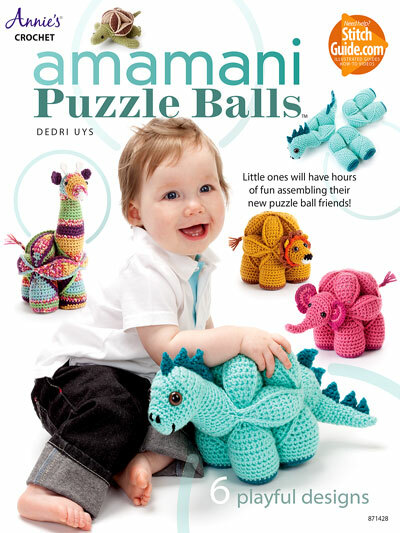 Hi Dedri…a question I have is I am choosing to use a yarn that I can get at my local yarn shop(I live in the US), I cannot seem to find any info on how much I need for each color. I went to the links that ship to the US to figure it out and they just told how many balls of each ‘kind’ (28 of one and 32 of the other) of yarn, not how much of each color that will be sent. Am I missing it or do you not have the info available for someone choosing a different yarn posted somewhere? 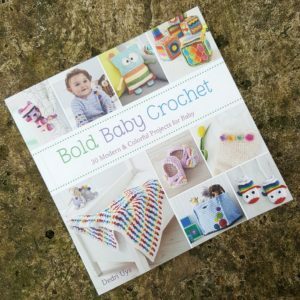 This is such a lovely pattern and I love the name/meaning you gave it! I can’t wait to make one for a friend. Hi Rosallie. 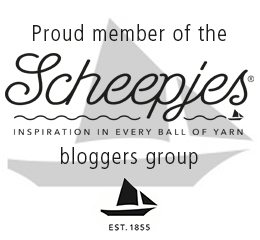 You can find all that information in the tips and tricks PDF on Scheepjes.nl under CALS. 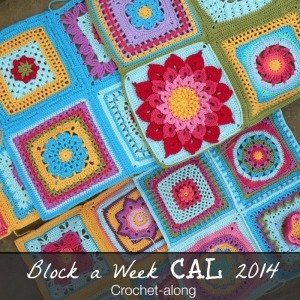 I can’t find the hook size I am supposed to be using for the large blanket? The gauge square says what hook size to use and it may be that tat is the correct size? The pattern says hook A? The colour says contrasting colours? I can’t seem to find a list of colours either? My guage square weighs 21g and the size is 16cm so this seems way out to? 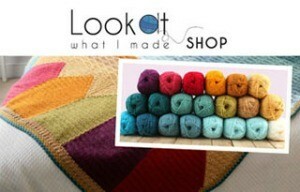 You will find the recommended hook sizes in the tips and tricks/information PDF on Scheepjes.nl under CALS. Having said that, you should use the hook that helps you obtain gauge. In other words, use the hook you need to get the gauge square to size. 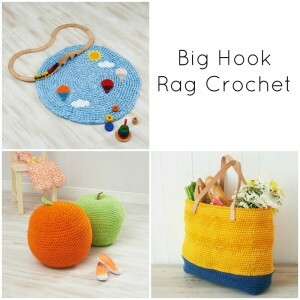 I’m not a seasoned crocheter but I wanted to join this call so I bought the small, turns out I don’t have a problem following or making the stitches however, I cannot make gage, I’ve tried and tried and tried again always way over by almost inch and half I even went down to 2.0 hook can I buy an extra skein of each color so I don’t run out, this is my fear I’ll run out before finishing. Hi Deanna. I am so happy to hear that you are finding the instructions easy to follow. I have just sent you an email.